* Frame: Round steel rod in stove enameled. * Seat/Back: Shell made of moudled polypropylene in limited colors. * Arm tablet made of polypropylene. 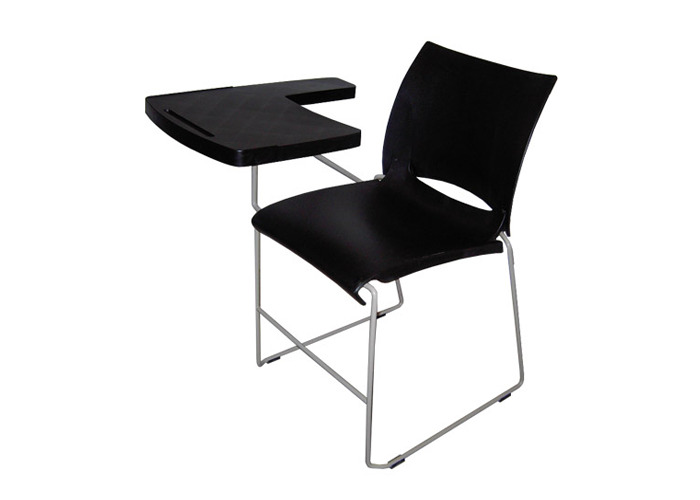 * Book rack (Optional) made of Ø 6.0mm thick stove enameled steel rod provided under seat. * Frame provided with Black plastic glides. 580W x 740D x 780H x 440SH mm. * Tubular steel frame in chrome plated. * Refer General Information for shell color section.